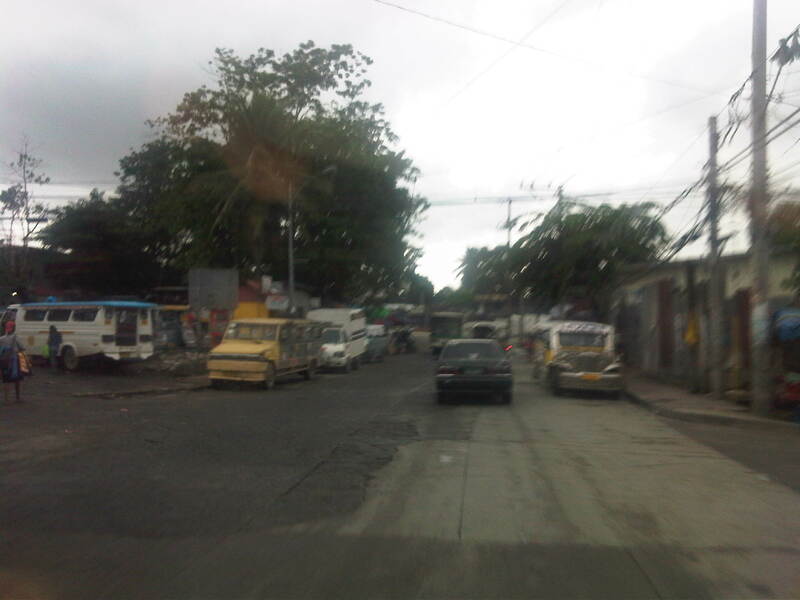 Among the more unusual names for a road is one that connects Quezon City in Metro Manila to Rodriguez (formerly Montalban) in Rizal Province – the Manila Gravel Pit Road. 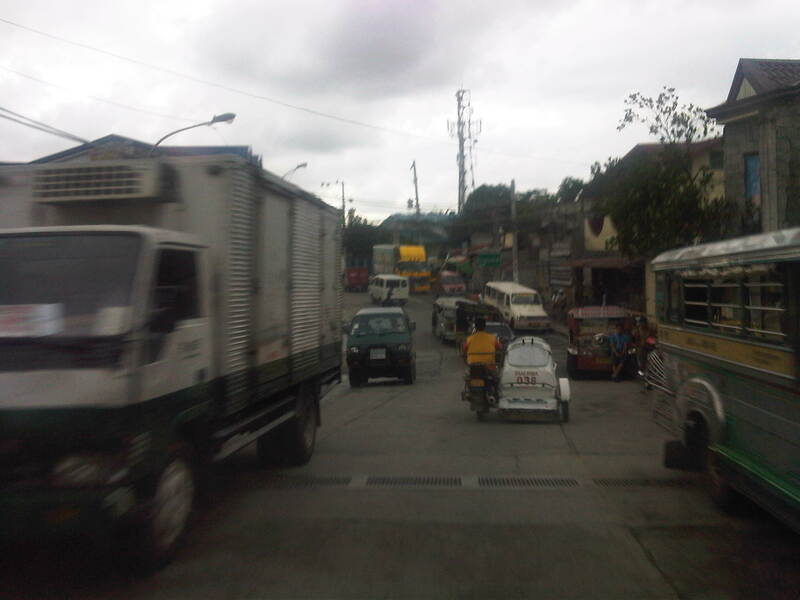 It is also known as Litex Road, which is referred to in many bus signboards plying the Fairview / Novaliches routes. 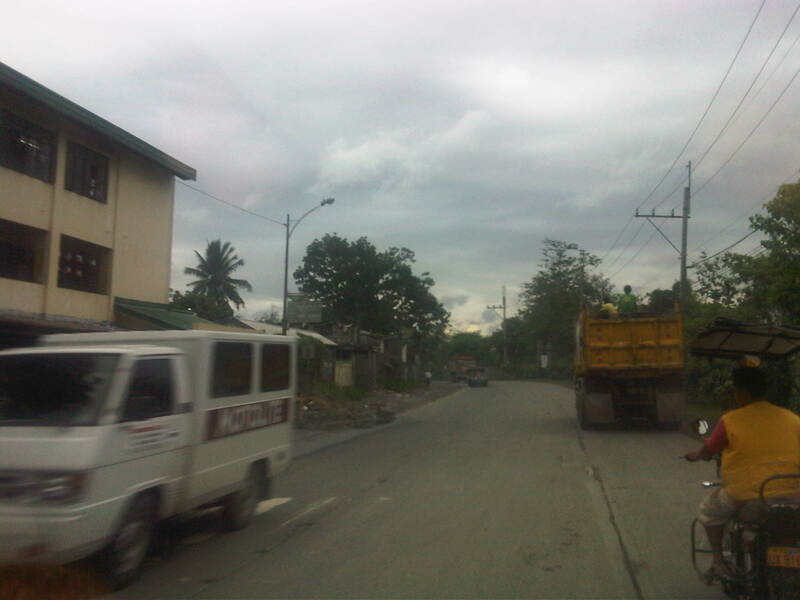 The following photos were taken around the same time the other photos along the Batasan-San Mateo Road, Montalban Highway and Payatas Road were taken and so comprise a series of posts. The road has 4 lanes along some sections but is effectively a 2-lane road due to significant roadside friction include parked vehicles along either side. 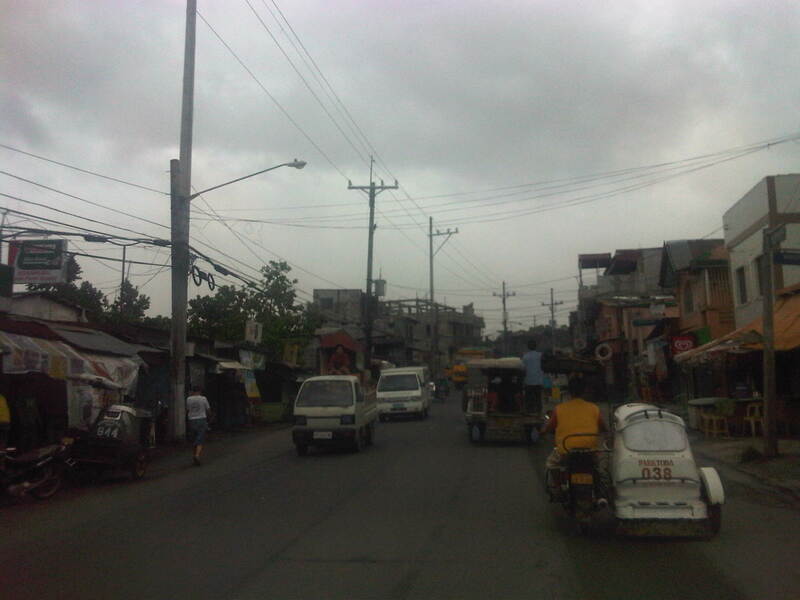 There are many informal settlers encroaching upon the RROW like the shanties shown on the left side of the road in the photo. 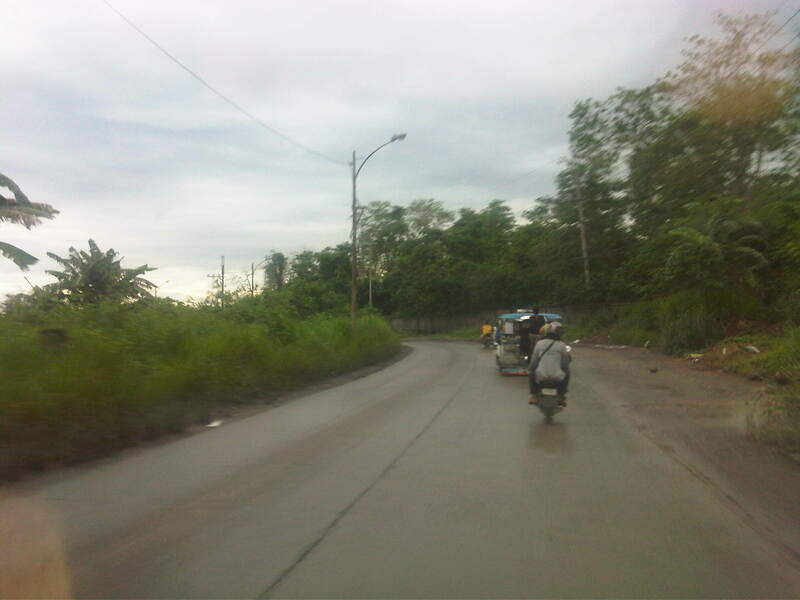 There are a few picturesque section of the road owing to the presence of greenery on both sides of the highway. There are also efforts here and there to improve drainage. One concern though is the lack of pedestrian facilities forcing people such as the woman on the left to use the carriageway instead. When I look at the photos now, I keep trying to keep in mind that the reason there is a fence made out of CHBs on one side of the road is because it demarcates the property of the La Mesa watershed. There is significant truck traffic along this road. 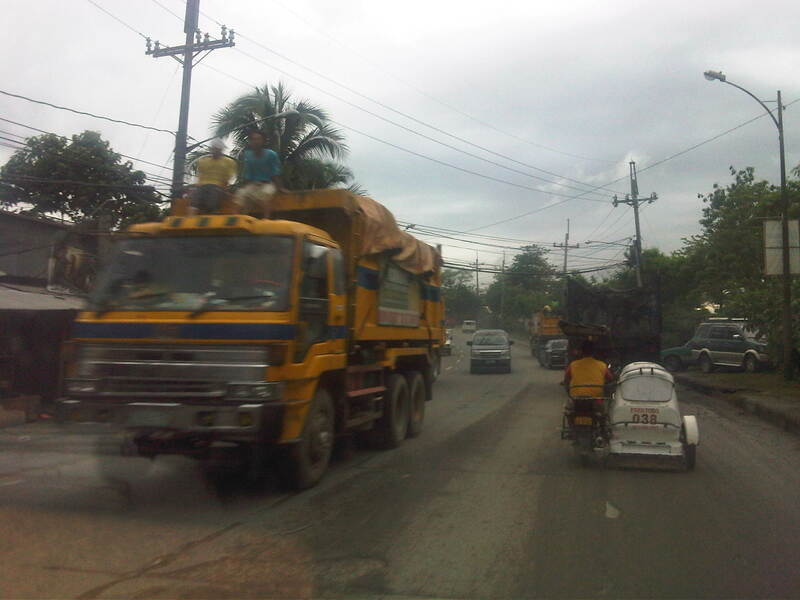 In particular there are many dump trucks (the rigid 3-axe types) traveling along the road for the primary purpose of transporting garbage to the nearby Payatas dumpsite. 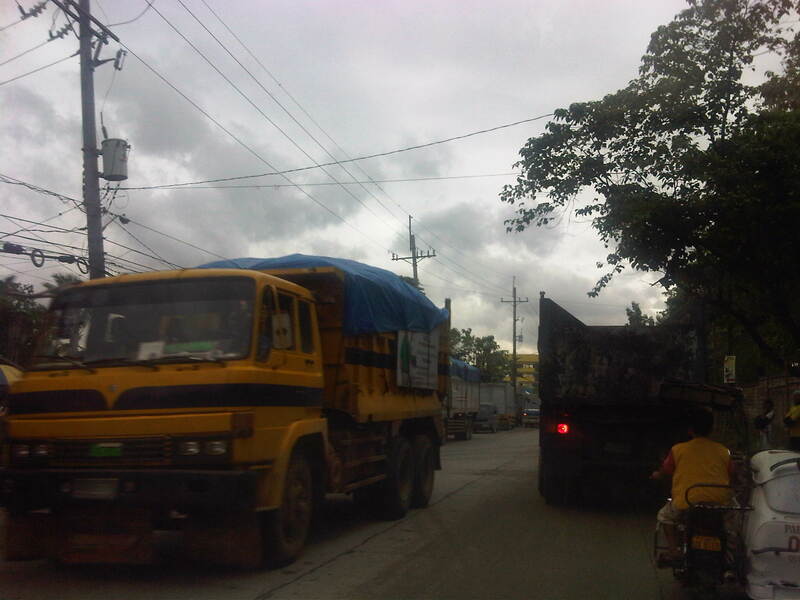 Prior to the focus on the dumpsite, the road was named as it was because of it being used to haul gravel from the quarries in nearby San Mateo and Montalban. 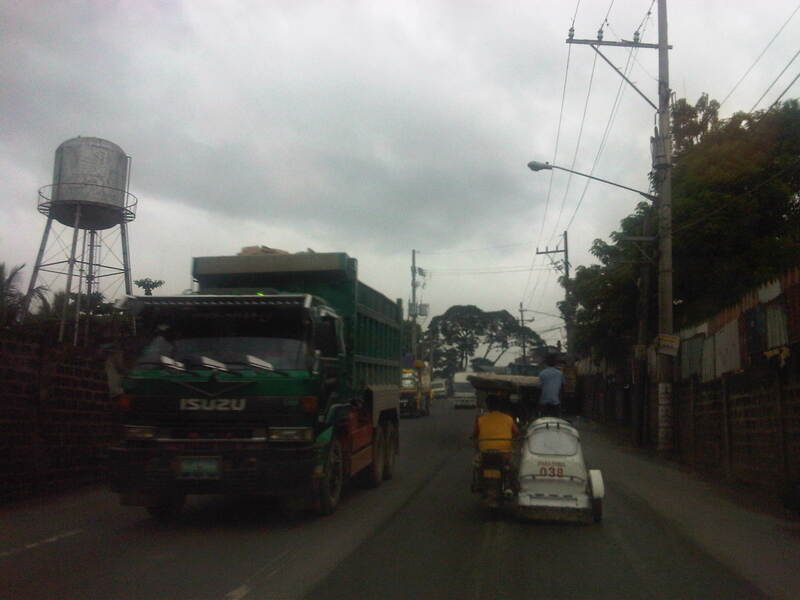 Section near a Manila Water facility (right) as only 2 lanes without sufficient shoulders on either side of the road. 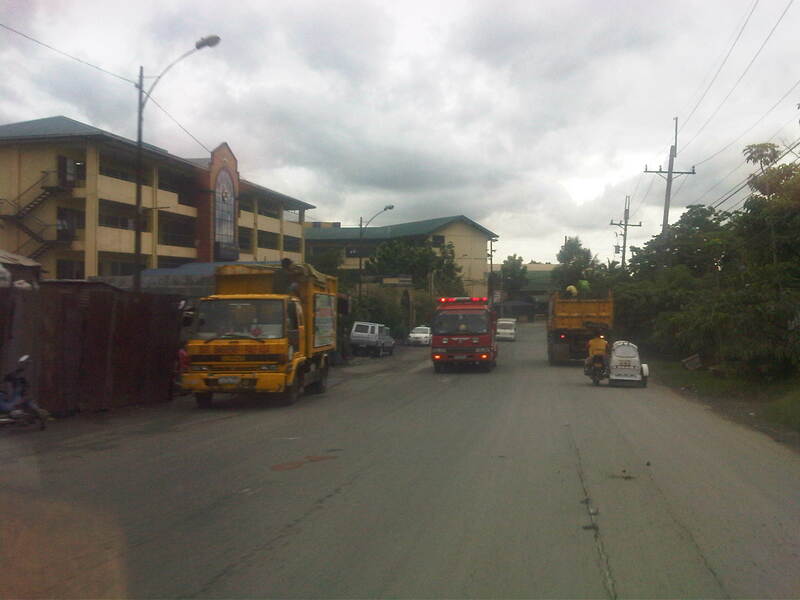 One can easily see the garbage trucks from afar due to the typical bright yellow color of most trucks hauling garbage to the dumpsite. One will see many trucks parked along the road and still with their loads. Some truckers will try to salvage items they could sell to junk shops like scraps of metal, bottles and plastics that they are able to sort from their loads. What remains will be taken to the dumpsite where scavengers will have their chance to pick on whatever are left that probably has value. 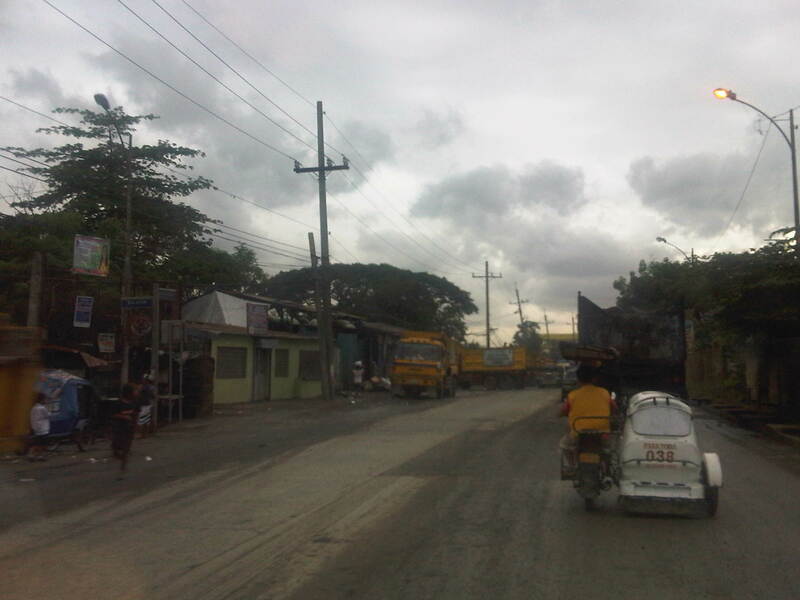 There are many garbage trucks traveling along or parked along this stretch of the road as the numerous side streets lead to the Payatas dumpsite. An elementary school building (name of school I forgot to take note of) with its typical yellow and blue motif used in the past administration of QC and retained with the current dispensation. 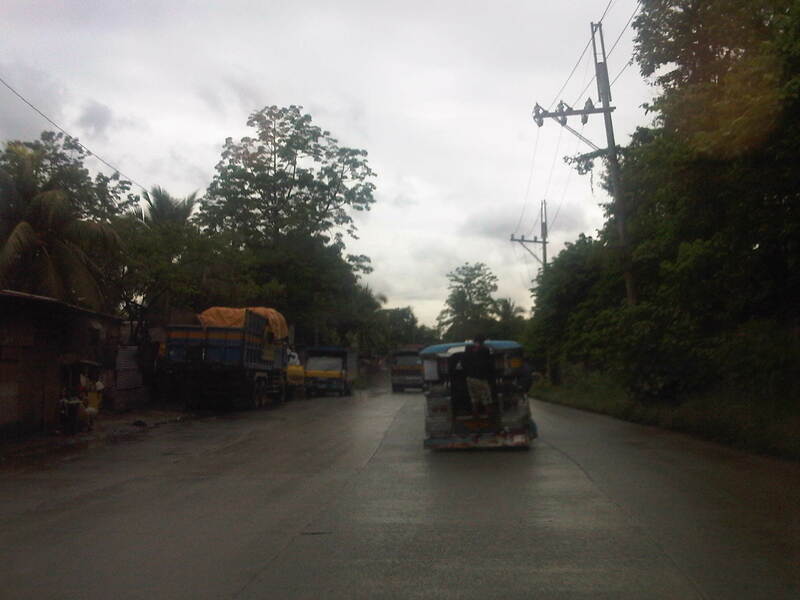 One will encounter more trucks along the road heading towards the dump site or their suking junk shops. That’s the Cecilia Munoz Palma High School with the yellow and blue motif building. It is one of the better public schools in Quezon City considering the limited budgets for public education. 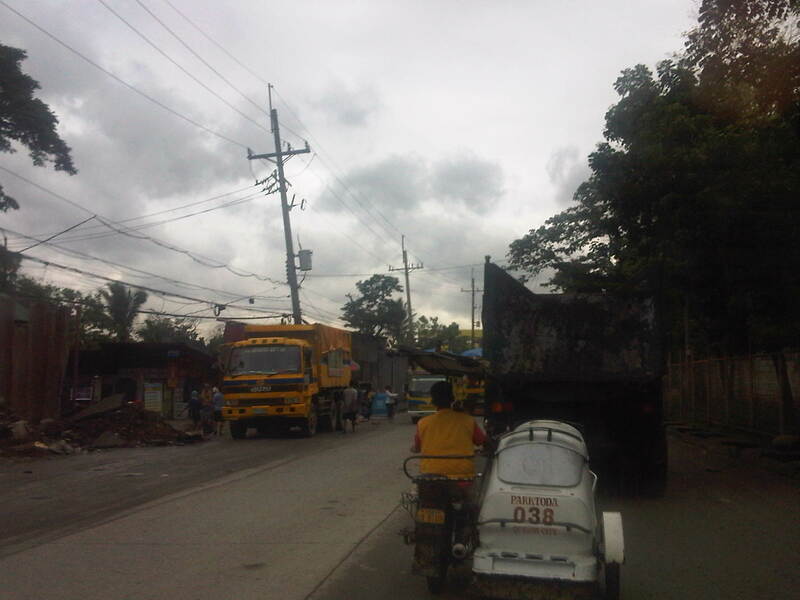 More trucks parked along the road beside informal junk shops put up by informal settlers. 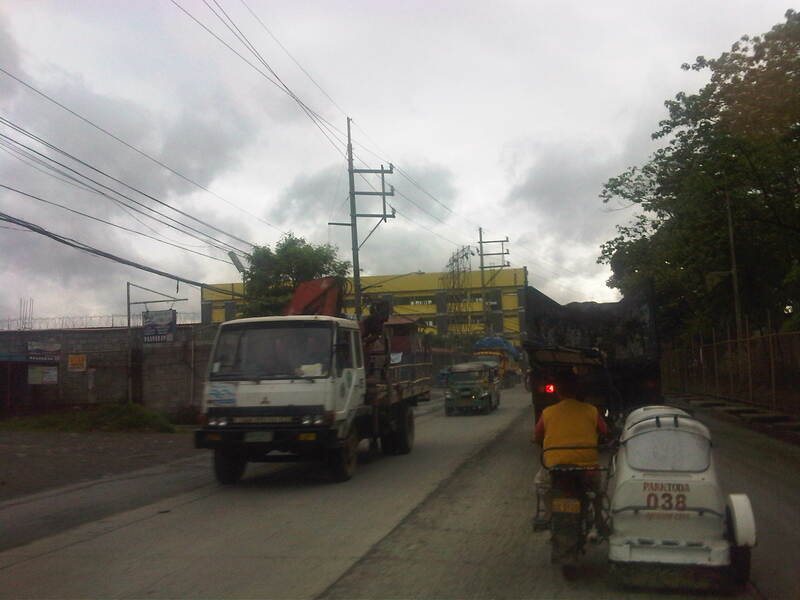 Many truckers also live in the area where many informal settlers are tolerated by the local government. These allegedly translate into votes during election times. Trucks galore…need I say more? 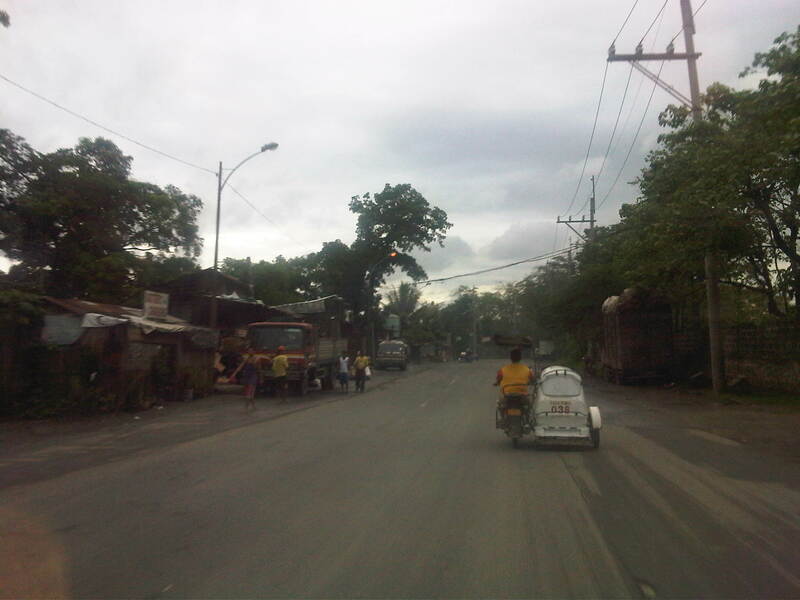 Approaching Commonwealth and the Fairview area, lands on either side of the road are occupied by informal settlers that hide the formal residential subdivisions in the area. Many structures have occupied what could have been pedestrian sidewalks and buffer zones between residential areas and the road. The situation is exacerbated by roadside parking. 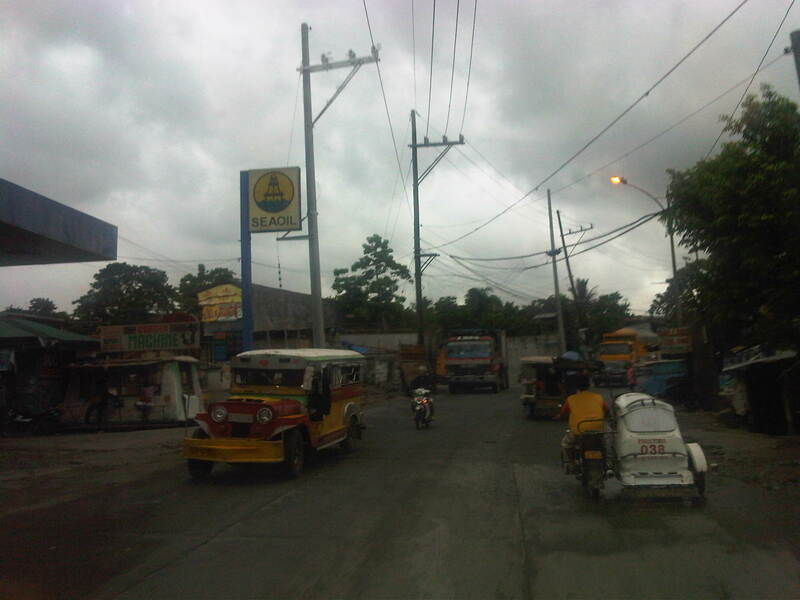 While there are semblances of sidewalks along some sections, pedestrians are eventually forced on the road because of obstructions and encroaching structures. The truck traffic and the lack of pedestrian sidewalks combine for an unsafe road. The higher grounds of the Batasan area is visible in the horizon. 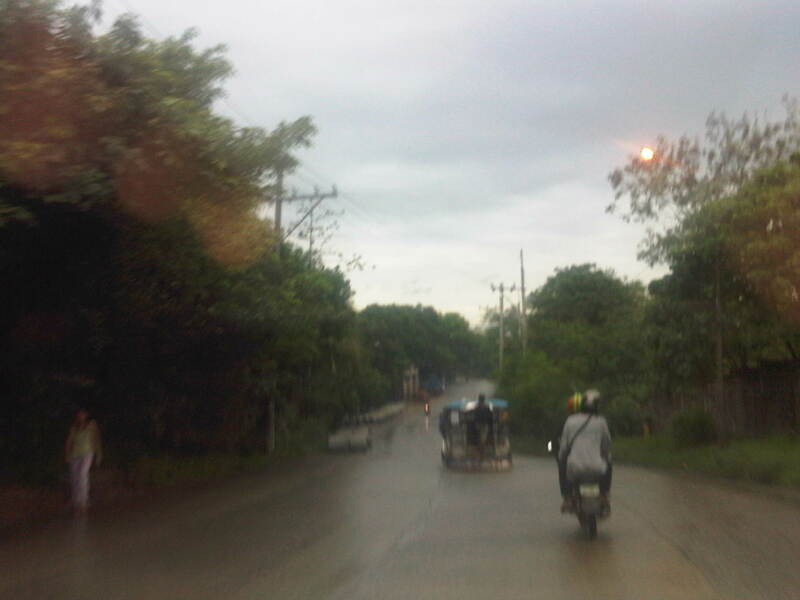 This road section is conspicuously wide (4 lanes) and we chanced upon passing through while there was light traffic. Note also the more formal structures on either side of the road though pedestrian facilities are still lacking. More junk shops along the road with some selling second (or even third) hand materials that can be used for construction. Many become the “building blocks” of shanties in informal settlements in the area. 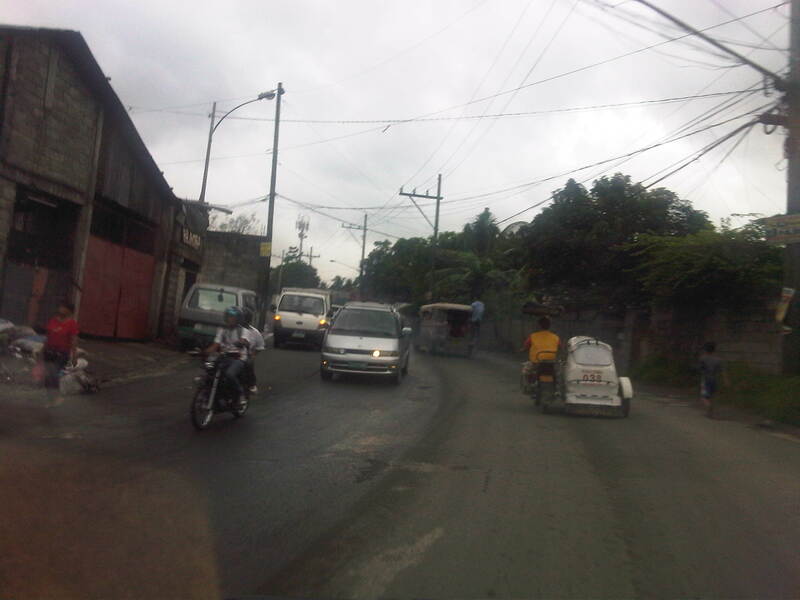 Most sections have poor pavement conditions due to truck traffic and the lack of a proper drainage system. Water eventually seeps beneath the concrete layer and weakens the foundation (sub-base) of the pavement. 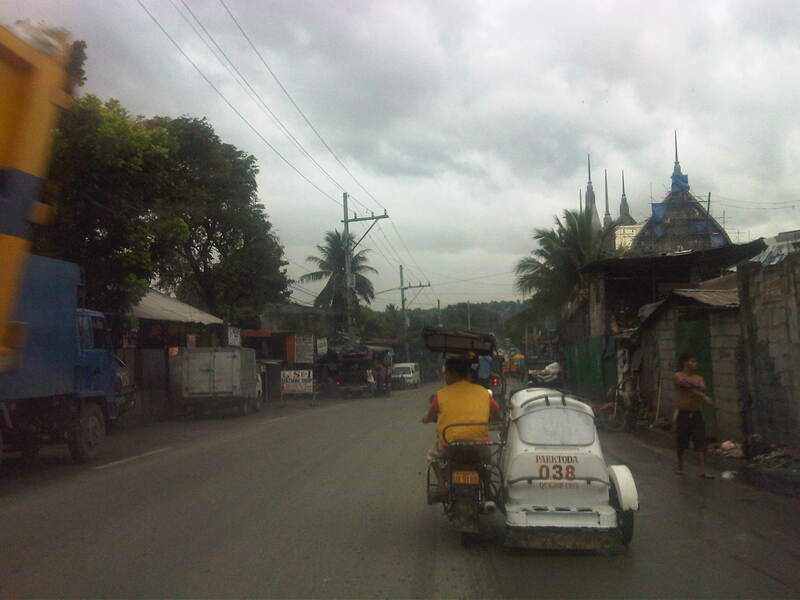 Further examples of bad practices – pedestrians walking on the carriageway, passenger hanging on a jeepney, lack of traffic signs and road markings, and tricycles along a national road. No sidewalks here, too, so pedestrians (if they dare to walk here) can be pinned between traffic and the walls on either side of the road. 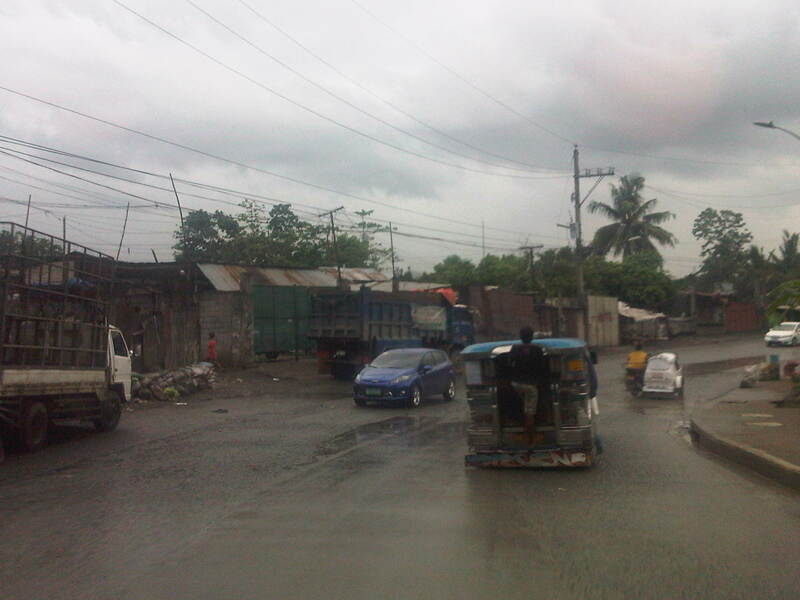 There are many informal settlers around the Payatas area and formal residential areas are often obscured by structures built along the roadside including stalls, stores and repair shops. 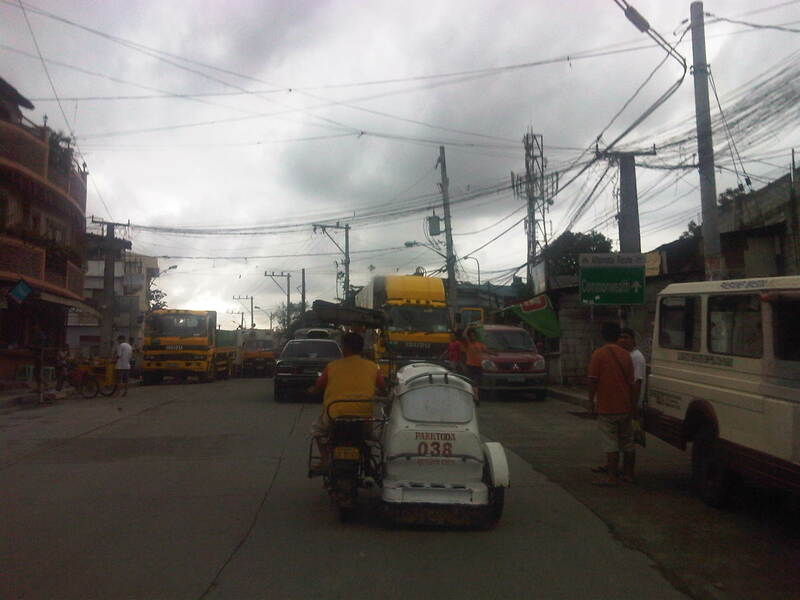 A busy section complicated with parked vehicles along the roadside and the proliferation of tricycles and motorcycles in this densely populated (and vote-rich) part of Quezon City. 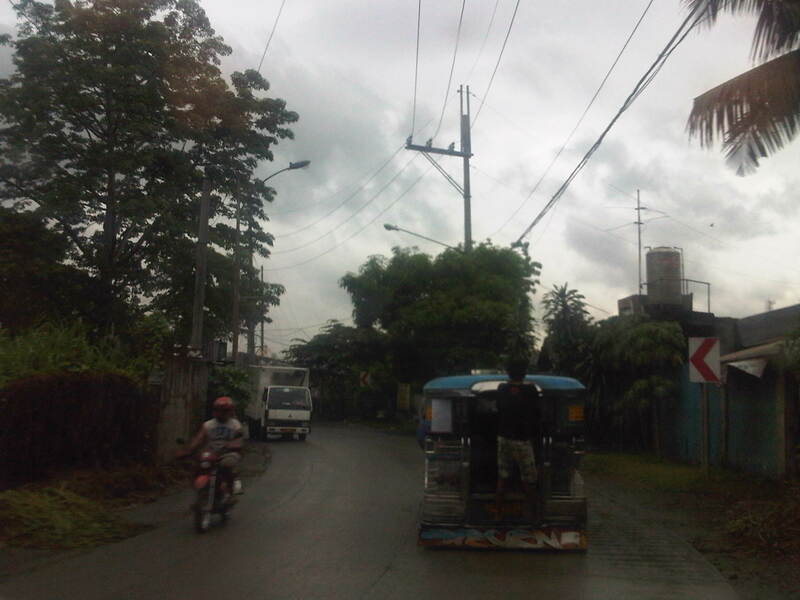 A sign that is not so easily seen informs travelers they are approaching Commonwealth Avenue. 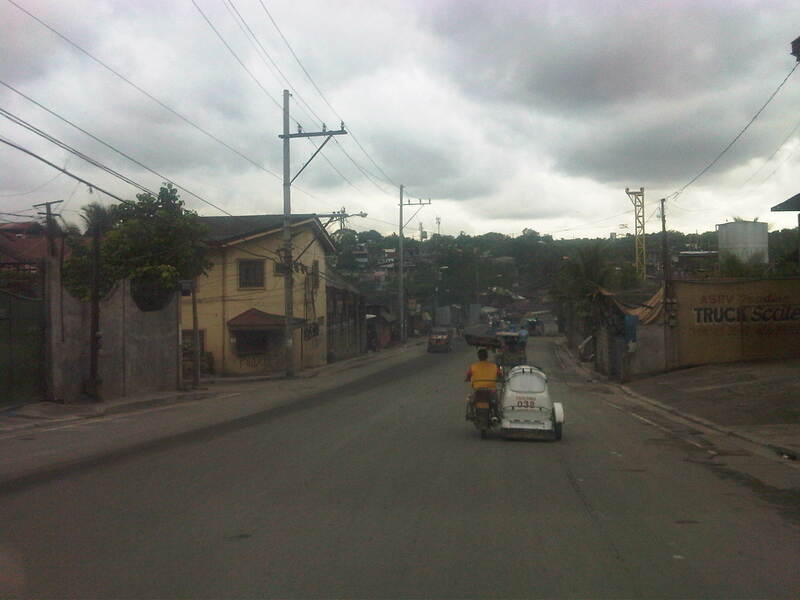 Also, have you noticed that the tricycle in this photo is also present in most of the previous photos? 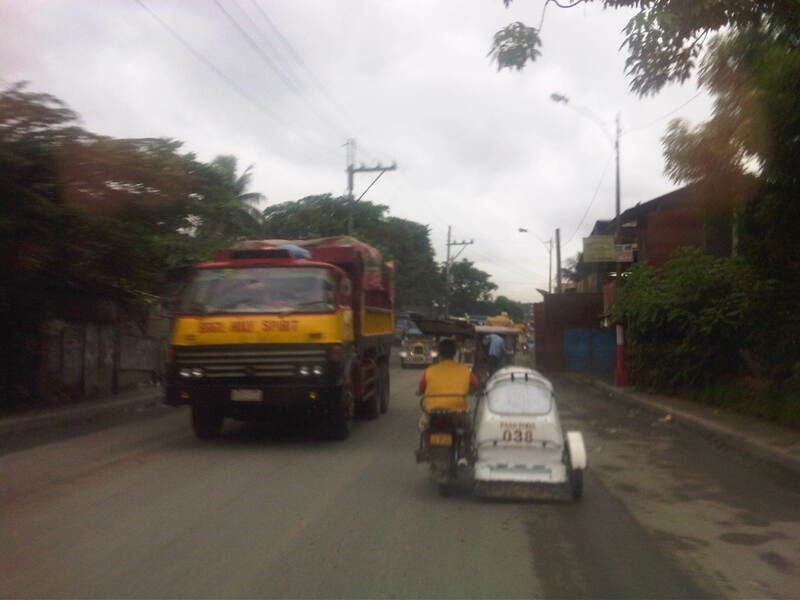 This is proof of the long ranges of such tricycles serving the area and competing directly with jeepneys with fixed routes. 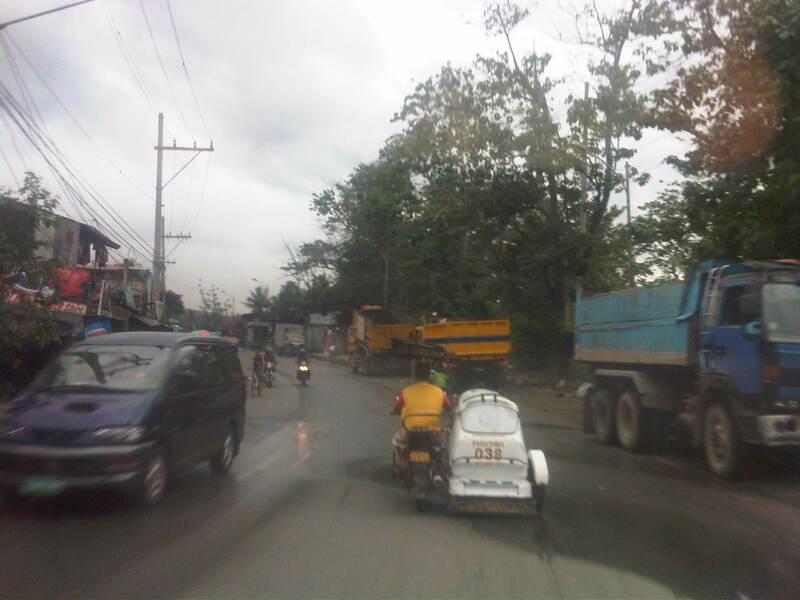 They are also among the many that violate a fundamental law that prohibits tricycles along national roads. Perhaps if this were a rural area, they could be excused but this is part of the urban jungle and so its obvious that the local government is at fault for not regulating their operations. 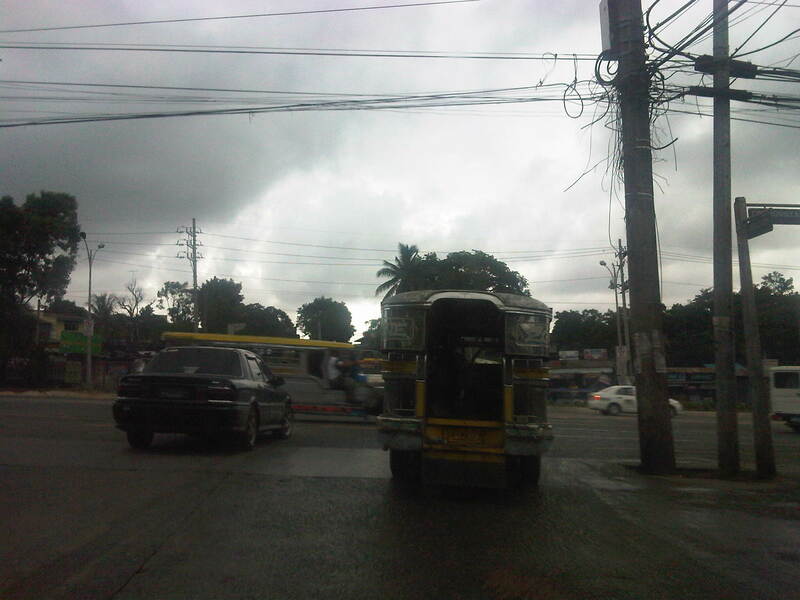 The road intersects with the Batasan Road just before the junction with Commonwealth Avenue. 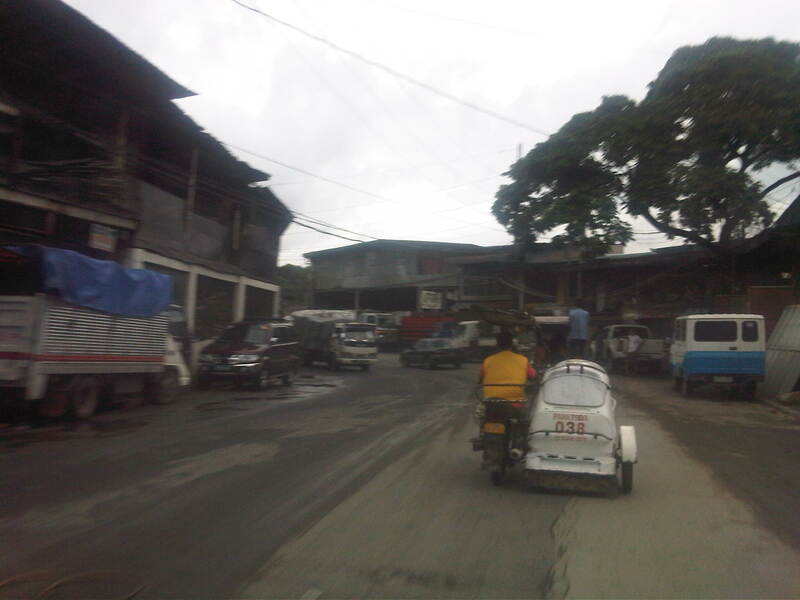 Near the Litex-Batasan intersection are all sorts of vehicles (jeepneys, AUVs, trucks, cars) parked along the roadside or at vacant lots plus tricycles lined up along informal terminals right on the streets. More efforts are obviously needed to improve road safety along this road, particularly to encourage walking along areas better suited for such rather than being dependent on tricycles or pedicabs. 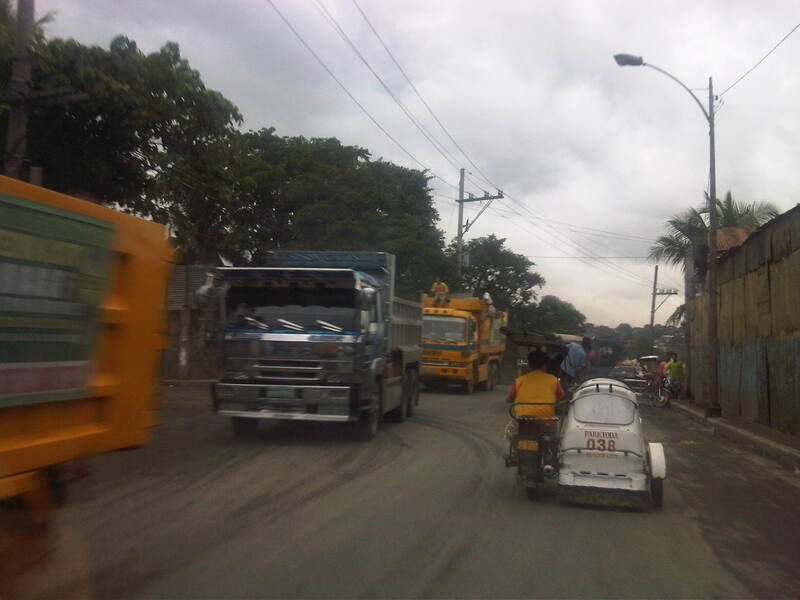 The road is used by a significant volume of trucks, most of which carry solid waste or garbage collected from different parts of Metro Manila. Such freight are themselves associated with risks including their potential spillage and could contribute to pollution due to leachate from the usually wet garbage collected and hauled by the trucks. 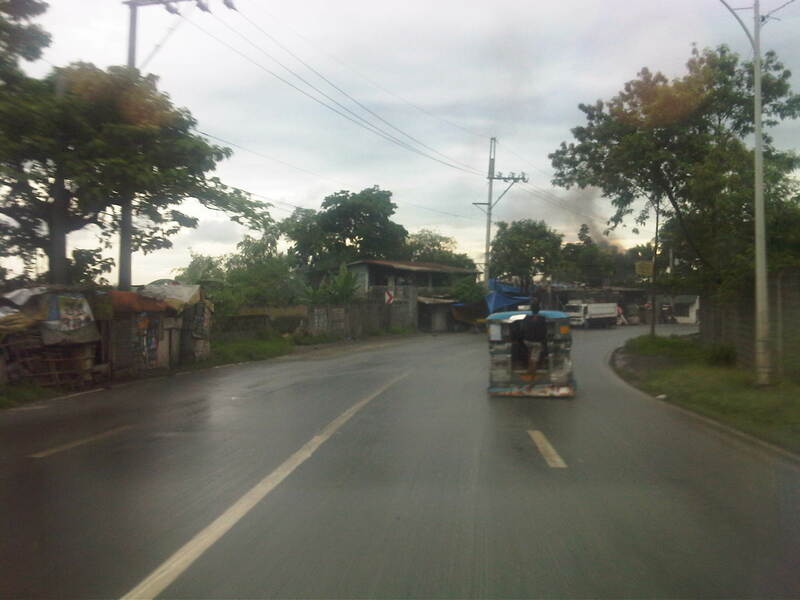 By d0ctrine in Highways and Streets, Land use, Road Safety on June 29, 2012 .